This beautifully updated 2770 sq foot home rests on a 1/4 acre lot with a private back yard & huge view deck. The spacious kitchen is the focal point of the main level and allows in an abundance of natural light. 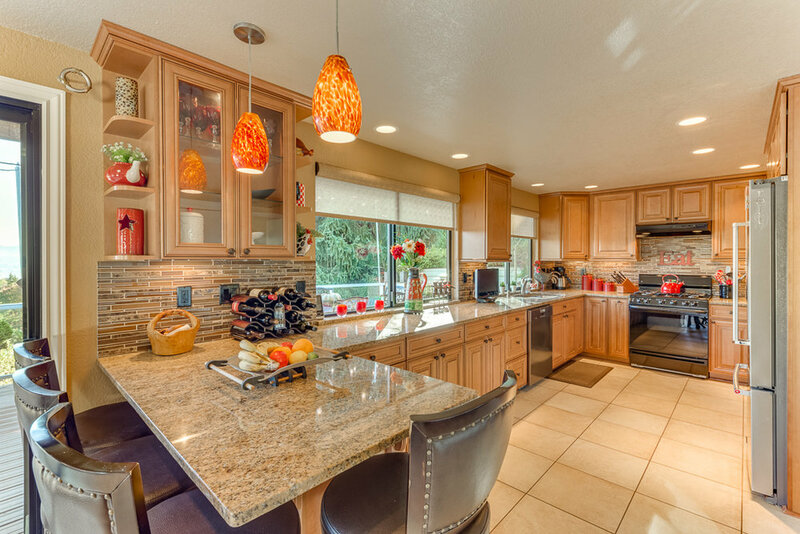 Quality finishes throughout, including crown moulding, granite and quartz countertops, and soft-closing cabinets. New driveway, gas heat, security system, & shop area.